10 Designs Inc. brands everything from full vehicle/RV/helicopter wraps to tons of promotional items such as stickers, banners, flags, posters, beer koozies, key chains, foam hands, patches, flyers, signs, golf/beach towels, lanyards, badges/badge holders, mouse pads, balloons, carpet/rubber mats, VIP wrist/sweatbands, cups, glasses, beer mugs etc. If it can be branded we can do it! We also manufacture wallets, belts, bags, backpacks, travel bags, hats, belt buckles, beanies, silk screen T shirts/sweatshirts, full embroidery and heat transfers. We specialize in silk screen, large format, digital and offset printing. 10 Designs in is a direct distributor of American Apparel, Alstyle Apparel, Flexfit, New Era and Starter. 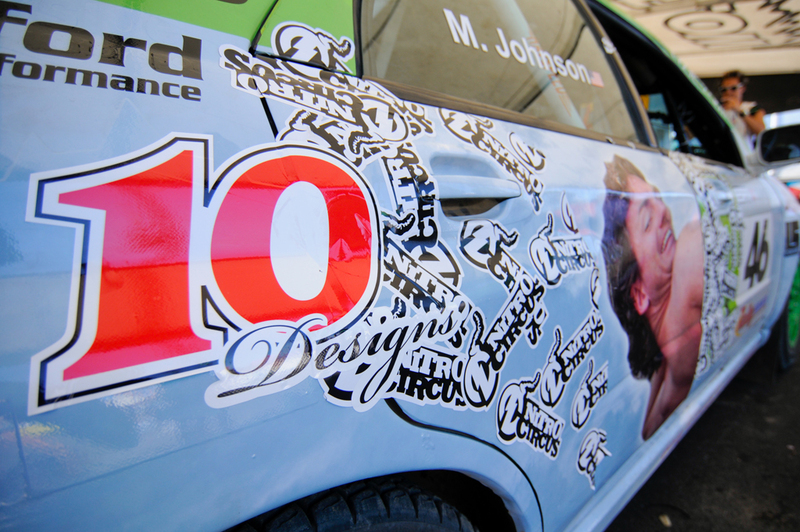 On ALL of our vehicle wraps we use only 3M vinyl.